Giblib, a medical education streaming service with offerings including both VR and traditional videos of medical lectures and surgeries, has raised $2.5 million in seed funding, with participation from some notable strategic investors. Those include Mayo Clinic, the Venture Reality Fund, Wavemaker 360, USC Marshall Venture Fund and Michelson 20MM. 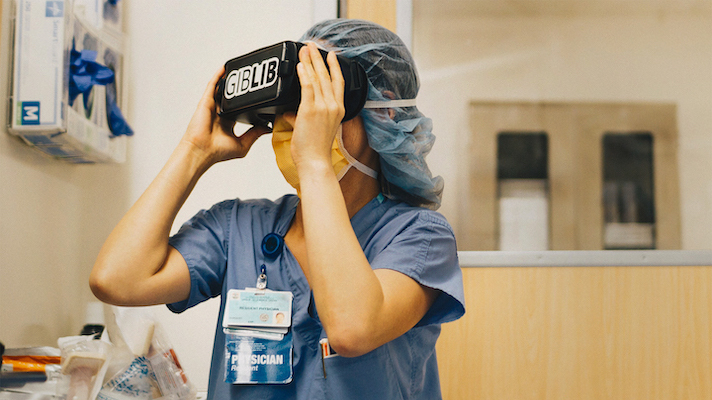 Originally incubated at Cedars-Sinai Medical Center in Los Angeles, Giblib works with hospitals to offer a streaming service filled with 4K and 360 degree VR videos of both medical lectures and surgeries. Some of these can actually earn CME credits for doctors who view the content. In addition to being among the customers for the content, hospitals partner with Giblib to help create it, allowing the startup to offer content from revered names like the Mayo Clinic, Cedars-Sinai, and Stanford Children’s Hospital. The seed round will help Giblib to build out its offerings technically as well as form additional partnerships and expand the amount of content available in its streaming library. Virtual reality's potential for changing the way surgeons train is extensive, and different startups have tackled it in different ways. Osso VR and FundamentalVR, for instance, are using virtual reality to create surgical simulators which are interactive. Other startups like CrowdOptic have looked at using Google Glass to record and stream first-person videos of surgeries. But few other companies are offering exactly what Giblib is creating. A company called Next Galaxy, now called CEEKVR, was planning to go into that space in 2015 but appears to have pivoted into entertainment streaming. In terms of medical education more broadly, one company worth mentioning is LevelEx, which offers mobile games that can earn physicians CE credits.